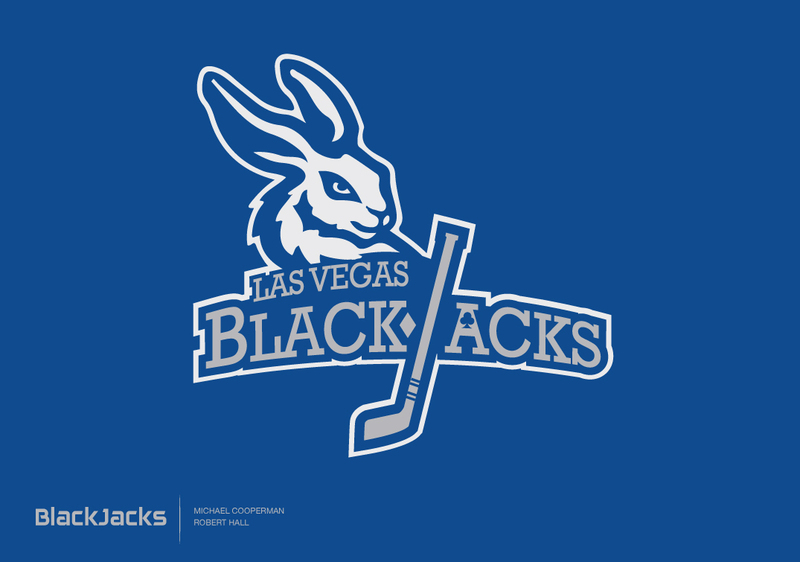 Nickname: The Las Vegas Black Jacks, named after the Black-tailed jackrabbit, an American desert hare most common in the western US. 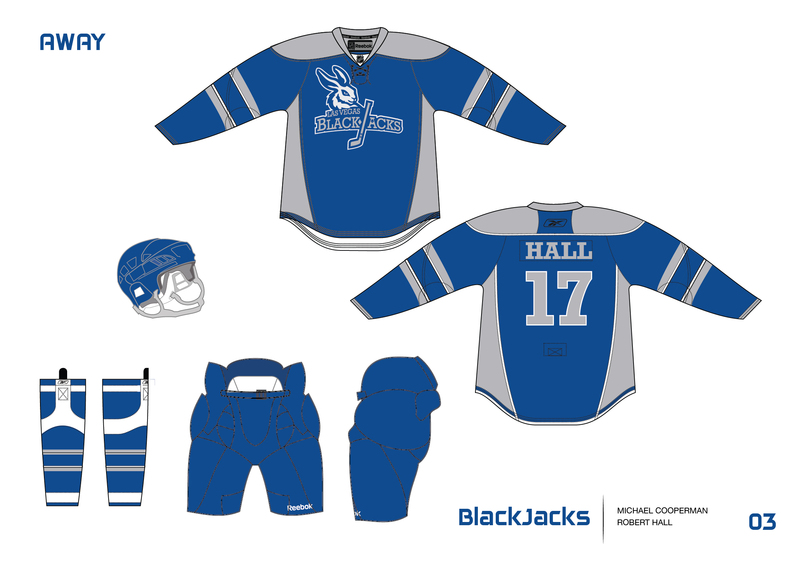 The Black Jack has long, powerful legs – obviously, a trait that would be desirable among hockey players. As a bonus, there’s the obvious tie-in with the most desirable hand in the world’s most widely played casino game. Colors: Blue and silver. “Lucky Blue” comes directly from the Nevada state flag. “Strike-it-rich Silver” refers to Nevada’s history of silver mining, lending Nevada the nickname, The Silver State. 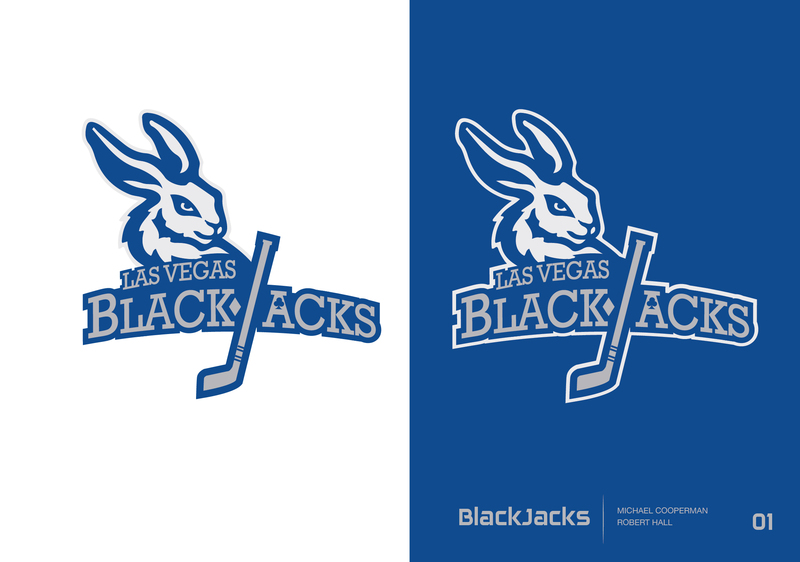 Logo: The primary logo combines the serious-looking hare with the Black Jacks’ word mark. 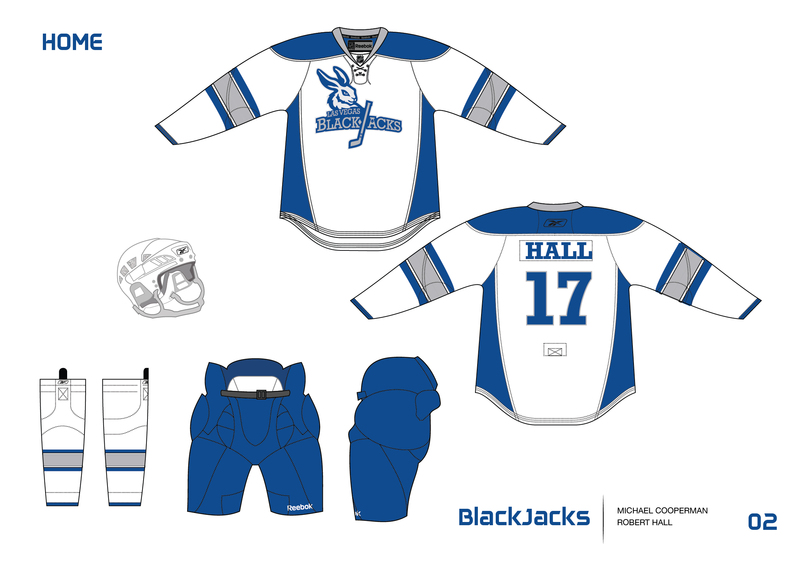 Within the word mark, the “J” in Jack is transformed into a hockey stick. On either side of the J are the “K” next to a diamond and an “A” with a club in the negative space – a King and Ace, which create the hand Black Jack. Finally, King and Ace would also be the nicknames of the two costumed characters that run through the stands firing t-shirt cannons and distracting people from watching the actual game.